A couple of weeks ago, we had a huge problem. My son, Sawyer, was refusing to go to sleep at night. Overnight, he went from going to bed in minutes to standing up in his crib, screaming unless he was being held. Until this time, we have been spoiled by his sleeping habits, so when they suddenly changed, I was desperate. We encourage teenagers to seek wise counsel, find adults they can trust, and surround themselves with peers who will make them better. Why do we do this? Because we know that they are going to face tough circumstances, and we don’t want them to be alone. But how often do we follow this advice ourselves? Other than your spouse or very best friend, how often do you share trials, struggles and doubts with the people in your circle? Lately, there has been a call for people to be more authentic on social media. It is easy for me to post pictures on vacation or of Sawyer when he is smiling, clean, and happy. It is difficult to post images of a dirty house, a home cooked meal that ended up being just okay, or cranky baby. Whether on social media or in real life, it is often difficult for us to admit that we don’t have it all together. We don’t have all the answers. Our lives aren’t always perfect, posed, and picture worthy. You need people to talk to and do life with, just like your teenager. Now, I understand the older we get, the trickier it is to share information about our spouse, kids, or job. Please understand that I am not asking you to break trust or find a group of friends to gossip with. I am simply encouraging you to find a community that you trust and that will give advice to better yourself and your family. Sometimes this will mean having a friend to call after a long day of work to remind you why you love your job. Other times it might be someone ahead of you in life who will give advice and counsel because they have been through it already. It also may mean having that person who will call you out when you are wrong – who will tell you stay with your spouse when it’s hard or apologize to your kids when you overreacted. Find someone who you admire. Maybe you love the way they parent, or they have a way of finding joy in every situation. Talk to the people you want to be like, they will make you better. Find someone older than you. Peers are great, but talk to others who aren’t in “the weeds” anymore. Talk to someone who has been through something similar but made it to the other side. Find someone who is encouraging. When life is hard, sometimes you just need someone to cheer you on! Find the people who will show up at the big and small events. Who will celebrate every victory with you. Find someone who is honest. This one is hard. I like people who agree with me. But I need people who will love me enough to tell me when I am wrong or when I should be doing something different. Find someone you trust who you know will always be honest with you. Find someone who loves your family. My favorite people to talk to are the ones who know where I am coming from. The people who gave me good advice on Instagram did so because they love my son and want what is best for him. Seek people who love your marriage and your kids, not just you. 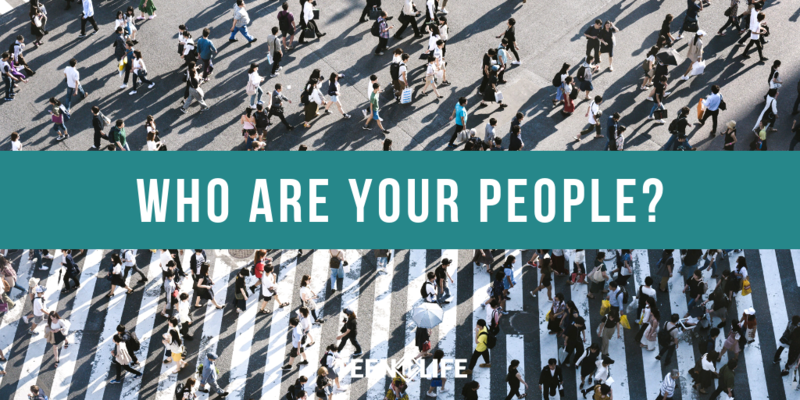 Who are these people in your life? Do you see the value in seeking community as adults? Let us know what you think!